Former official Dougie McDonald retired after controversy over granting a penalty in a Celtic match. Google has informed news organisations it has removed stories from its search results about a former top Scottish referee who retired amid a controversy over a match decision. The news reports relate to former Category One official Dougie McDonald, who retired after controversy over his reasons for granting a penalty in a Celtic v Dundee United match. On Wednesday, STV was informed by the internet giant that one of its reports in relation to the 2010 incident had been removed from Google searches in the EU under "right to be forgotten" ruling. It follows a European ruling that individuals have the right to remove information about themselves from internet search engine results. STV was not given detailed reasons for the removal of the article or who had requested it. The Google notification read: "We regret to inform you that we are no longer able to show the following pages from your website in response to certain searches on European versions of Google." The Guardian was also involved in the removal of articles from search results, with the newspaper informed by Google that three of its articles — including one on the same subject — had also been removed. STV's article reported comments made by football match official Steven Craven to the Sunday Mail. "Dougie ran towards me and said: 'I think I've f***** up,'" Craven said at the time. "After the game Dougie said we should tell the referee supervisor [Jim McBurnie] that I called him over to question the penalty award. "I went along with it because I wanted to be supportive of Dougie. "But then Neil Lennon came in after the game and asked Dougie why he hadn't given the penalty kick. "We told Neil the version that was a lie. It was wrong to lie. And I'm not proud that I went along with Dougie's suggestion." 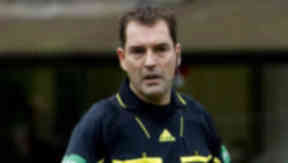 McDonald had awarded Celtic a penalty during the game on October 17 2010 but, following a discussion with assistant Craven, reversed his decision. 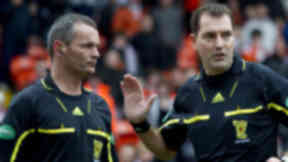 Craven resigned following the controversial decision and though the SFA cleared match referee McDonald of any wrongdoing they did warn him about inconsistencies in his match report. The SFA probe decided that McDonald had been correct to rescind the award for Celtic against Dundee United. However, it was found that he failed to complete the "post-match administrative process to the expected standard". STV's article in question in relation to referee McDonald can be read here.